For the sake of this post, let’s just say that randomest is a word. So, it’s Friday. Woot! And of course, I have a bunch of random thoughts floating around in my head that need to be shared. 🙂 You’re welcome! 1. It has been brought to my attention several times now that readers are no longer receiving email updates when I publish a new post. I looked into it, and it seems that I did in fact go from ~150 subscribers to exactly 3. Gah! Really sorry about that, guys! The fix I am about to propose will take a little bit of effort on your part because I tried to solve the problem on my own with WordPress but had zero luck. So, IF you are interested in receiving updates whenever a new post goes live, I suggest you sign right back up the way you did before (under where it says “Subscribe to Blog via Email”). OR you can follow me on Twitter, where in addition to new post updates, you will get an up close and personal look into my inner thoughts. OR you can like my Facebook page and be privy to even more fun updates. It’s your choice! 2. In my last post, I asked the question – what book should I read next? I then went and picked out something all on my own. Go figure! 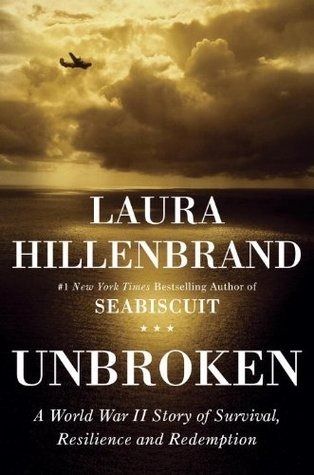 I am now reading Unbroken by Laura Hillenbrand. In all honesty, I am only 10 pages in but so far so good. In fact, according to its Amazon page, Unbroken is a #1 New York Times Bestseller, Hailed as the top nonfiction book of the year by Time magazine, Winner of the Los Angeles Times Book Prize for biography and the Indies Choice Adult Nonfiction Book of the Year award. So yeah. I think it’s going to be pretty good. 3. Vishnu and I are officially obsessed with Season 2 of House of Cards. This show is nuts! So many twists and turns – and we’ve only watched six episodes. I have a feeling a marathon House of Cards session is in our future…as in this weekend! 4. 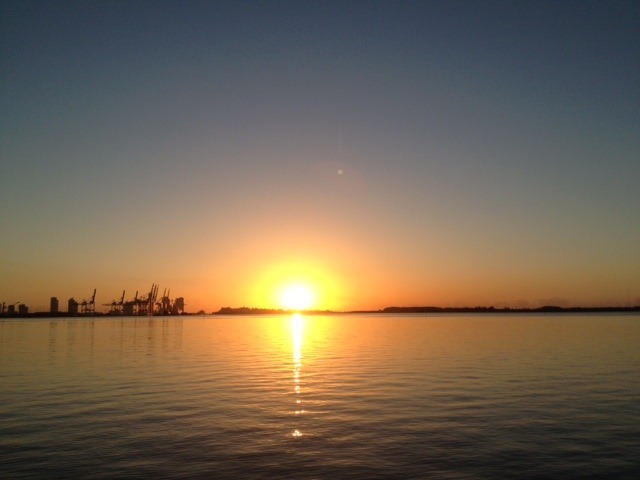 Miami sunrises are the best. So happy I’m a morning person and able to capture these shots. 5. Tonight is date night at Vapiano. Pasta and pizza here we come. 6. I have to talk about a few of my new favorite snacks. Because I pretty much live to eat. So these Jalapeno Cheddar Sweet Potato Puffs were gone in exactly two days (and Vishnu did not help). Vishnu has, however, enjoyed handfuls of these Sweet and Spicy Nuts (I use half almonds and half cashews). I love Lindsay’s recipes because they are made with real ingredients, come together in no time, and taste delicious. 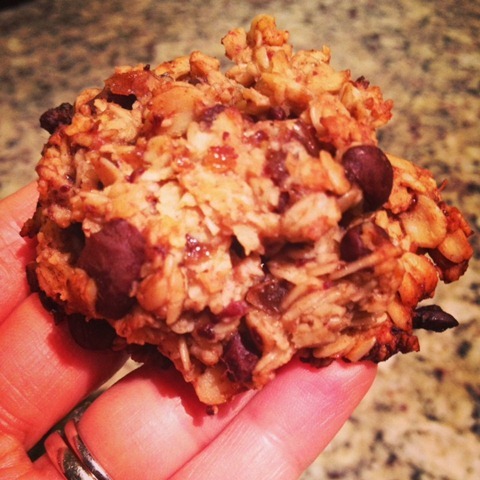 I am also slightly obsessed with these Banana Bread Muffin Tops by Angela at Oh She Glows. MAKE THESE ASAP. So freaking good. I added walnuts to my second batch (~1/4 cup chopped). Well, that’s it for the randomest post ever! Happy weekend! Welcome to my fridays where all things are random 🙂 Actually your last post inspired me to pick up a book again. I’ve had “The Dinner” sitting around for a while and I finally picked it up. So happy I did! Thanks for the inspiration lovely and happy weekend! I am looking for a good book so thank you in advance for the recommendation! Banana bread muffin tops sounds really tasty…I am off to check out the link.